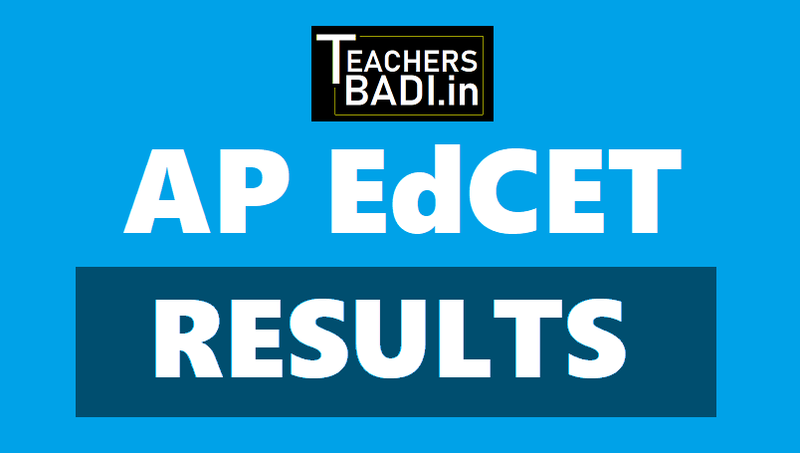 AP EdCET 2019 Results/ AP Education Entrance Test 2019 Results/EdCET Results 2019: A Common Entrance Test, designated as AP Education Common Entrance Test-2019 (APEd.CET-2019) will be conducted by the CONVENER, APEd.CET 2019, Andhra University on behalf of the Andhra Pradesh State Council of Higher Education for admission in to B.Ed (Two years) Regular Course in the Colleges of Education in Andhra Pradesh State for the academic year 2019-2020. AP Ed.CET Results likely to be released today, April ...: Sri Venkateswara University issued the Andhra Pradesh State Education Common Entrance Test(AP Ed.CET 2019) on March 05, 2019 the University invited online applications from the eligible candidates for admission into Two years B.Ed regular course in the Colleges of Education in AP State for the academic year 2019-2019. Eligible candidates were applied their applications Online mode for this stream from ..-03-2019 to ..-04-2019. Applied candidates were appeared the entrance test, Which was held on ..-04-2019. Now, Appeared Ed.CET 2019 Candidates are waiting for their results. 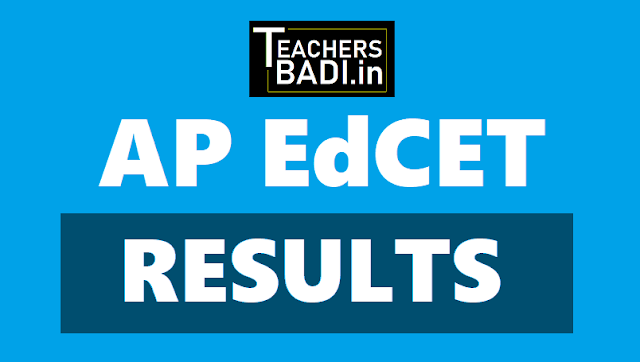 AP EdCET 2019 results have been released by SVU officials on today. Candidates can check their results from the official web portal apedcet.org. AP EDCET result 2019: Andhra University’s (AU) has declared the results of the Andhra Pradesh State Education Common Entrance Test (AP EDCET). The exam was conducted on April ..
As per the reports, 96 per cent candidates have qualified in the examination. As many as 11,705 candidates registered for the exam and 9,561 appeared for it. AP EdCET 2019 Results/Ranks will be released at 11 AM Tomorrow i.e 3rd May 2019: AP EdCET exam 2019 Results to be declared soon at sche.ap.gov.in/ AP EdCET exam 2019: The results are likely to be declared today. Andhra University, on behalf of the Andhra Pradesh State Council of Higher Education (APSCHE), is likely to declare the results for the AP Education Common Entrance Test (EdCET) 2019 exam today. Candidates who had appeared for the exam can find their results on the official website and check this page to be notified. The exam was conducted on April ..., 2019 from 10.30 am to 12.30 am to select candidates for admission to BEd courses at recognised institutions in the state. The exam had 150 multiple choice questions which were divided into three parts- part A was for General English (25 marks); part B for General Knowledge and Teaching Aptitude (25 marks) and; part C for Mathematics, Physical Sciences, Biological Sciences, Social Studies and English (100 marks for any one of the subjects). The exam was held at centres in Anantapuramu, Chittoor, Tirupathi, Kadapa, Kurnool, Nandyal, Nellore, Ongole, Guntur, Vijayawada, Bhimavaram, Kakinada, Rajamahendravaram, Visakhapatnam, Vizianagaram and Srikakulam. HRD minister Ganta Srinivasa Rao announced the EdCET results here on Monday.Andhra University conducted the examination on April .... to fill 45,000 seats in 508 colleges in the state. In all 8,785 candidates applied for the examination and 7,152 candidates attended.The HRD minister said that 7,010 candidates qualified in the test with a pass percentage of 98.01. The minister said that the classes would commence in the last week of June. He informed that 1709 candidates qualified in Mathematics, 1,451 qualified in Biological Science, 763 in Physical Science, 2,684 for Social Studies and 403 for English. Step 2: Click on the link for AP EdCET 2019.